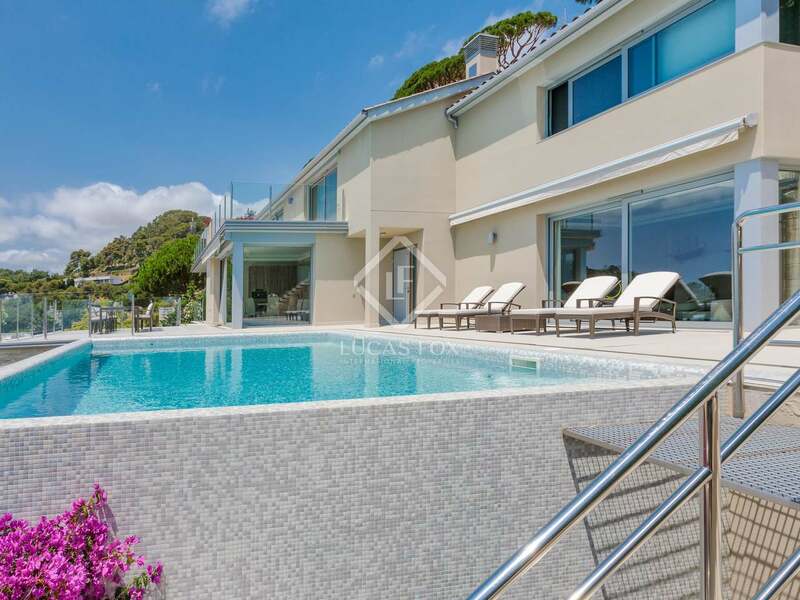 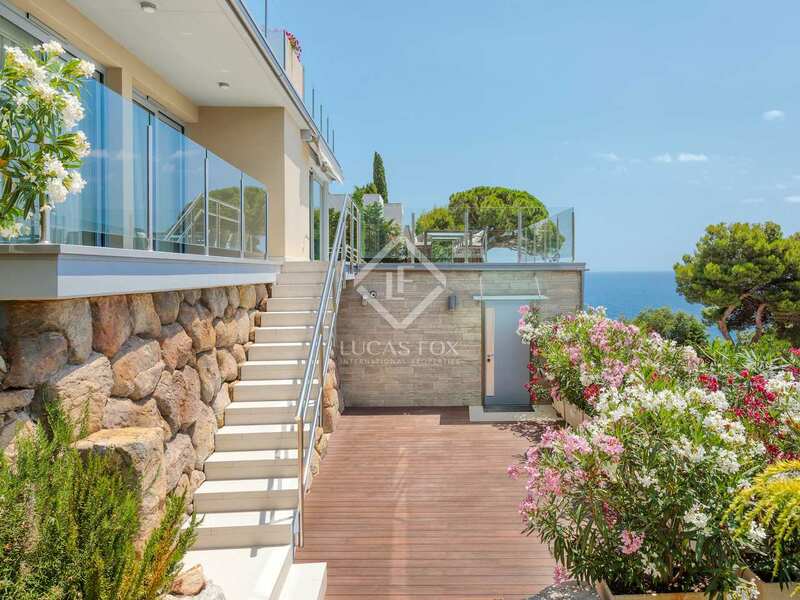 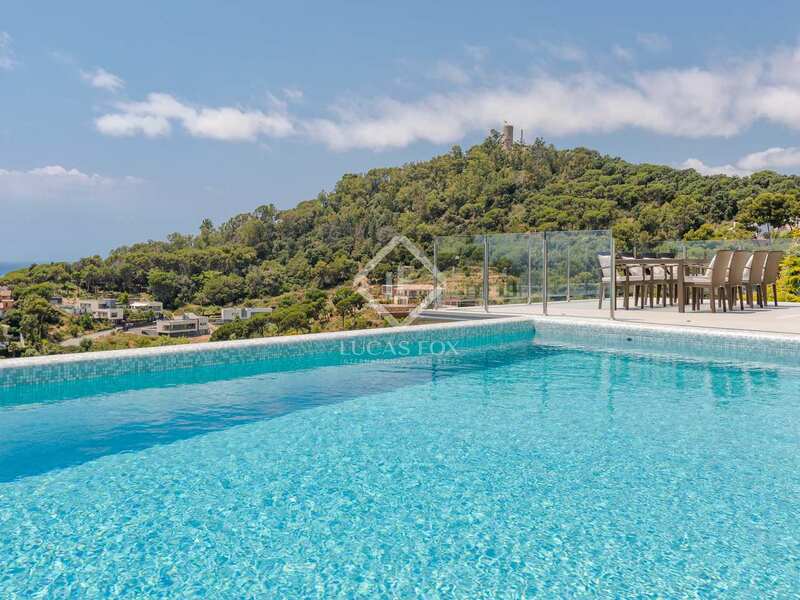 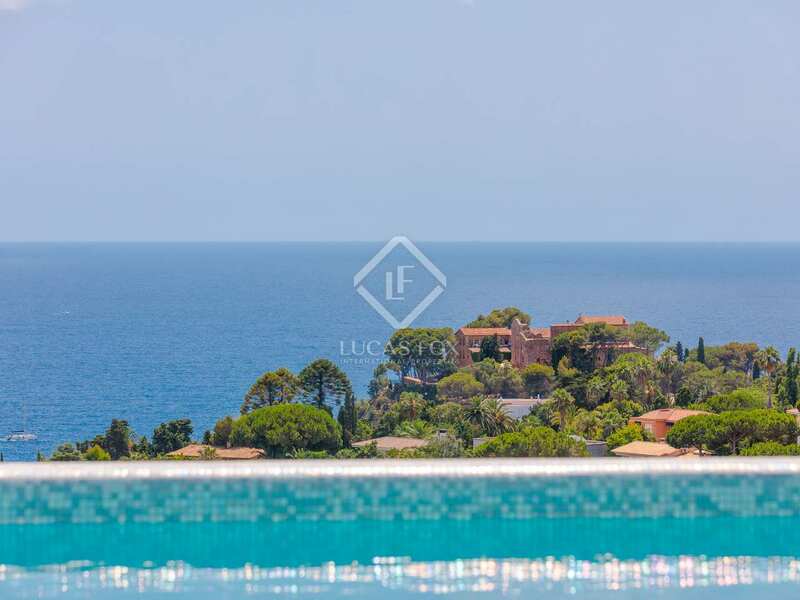 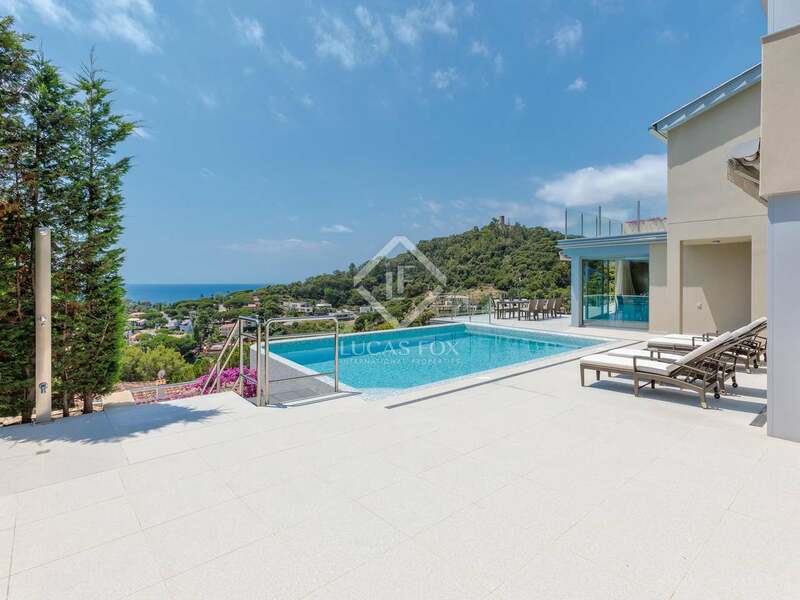 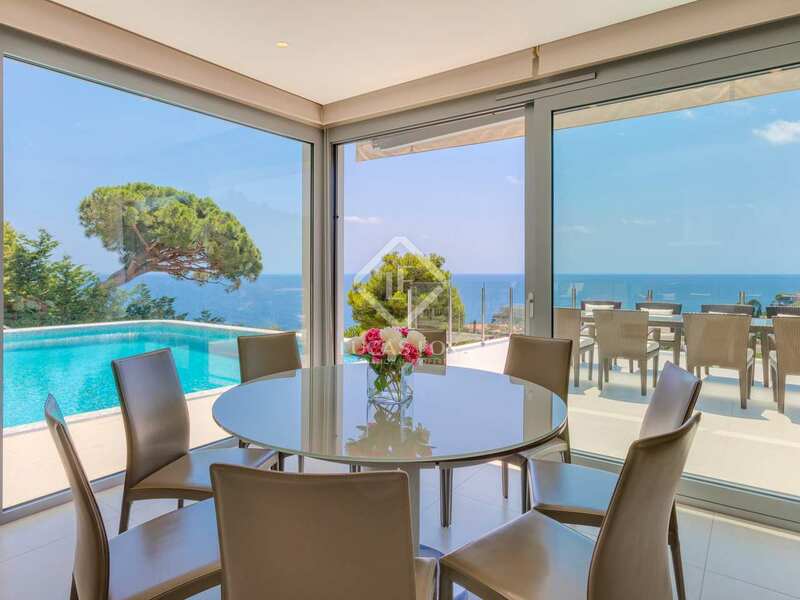 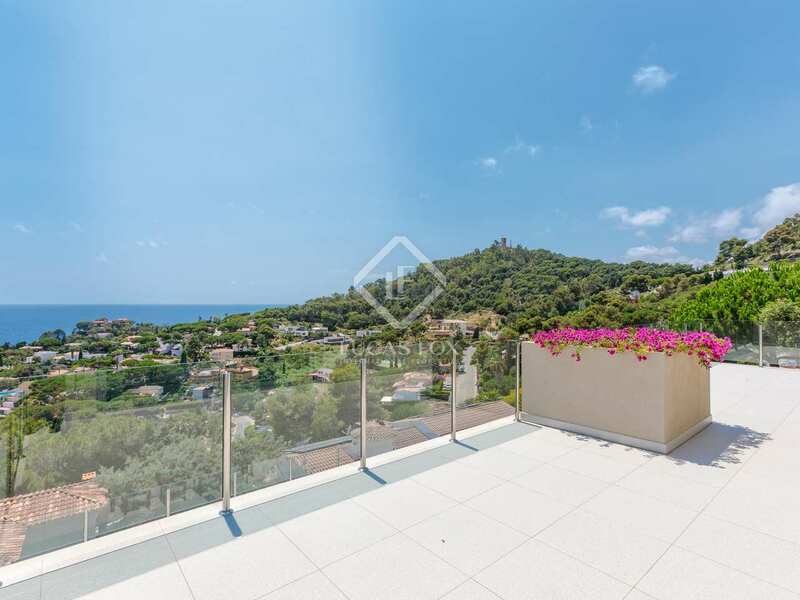 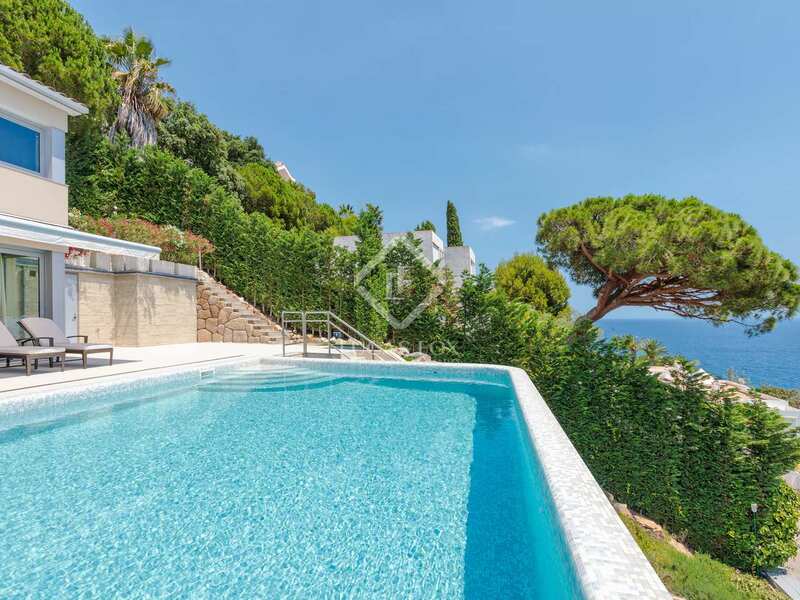 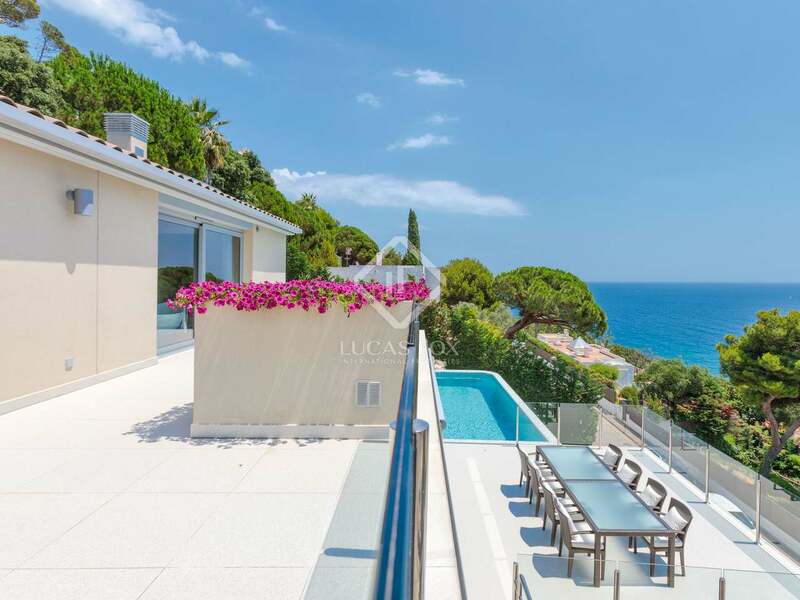 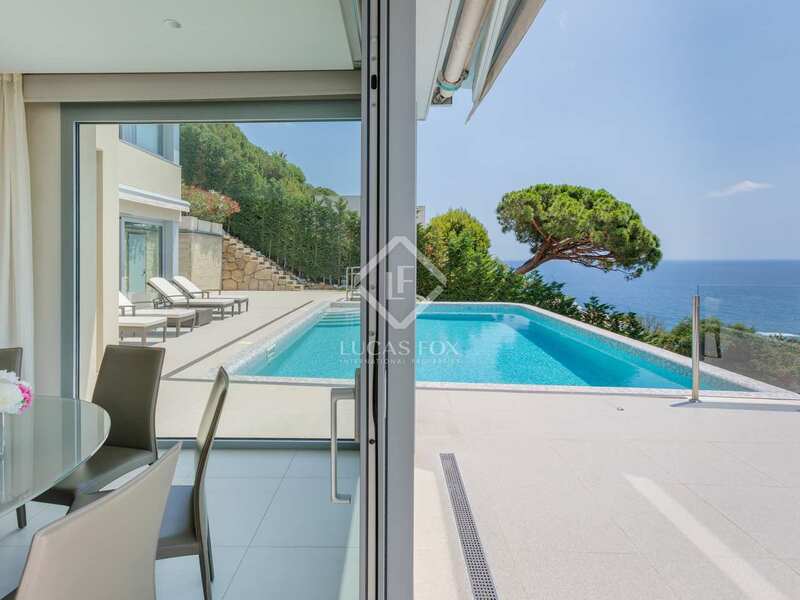 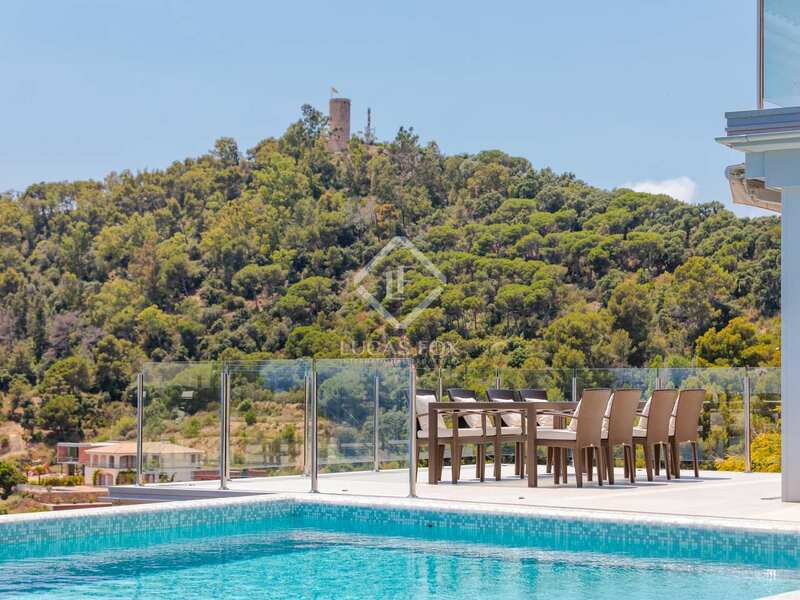 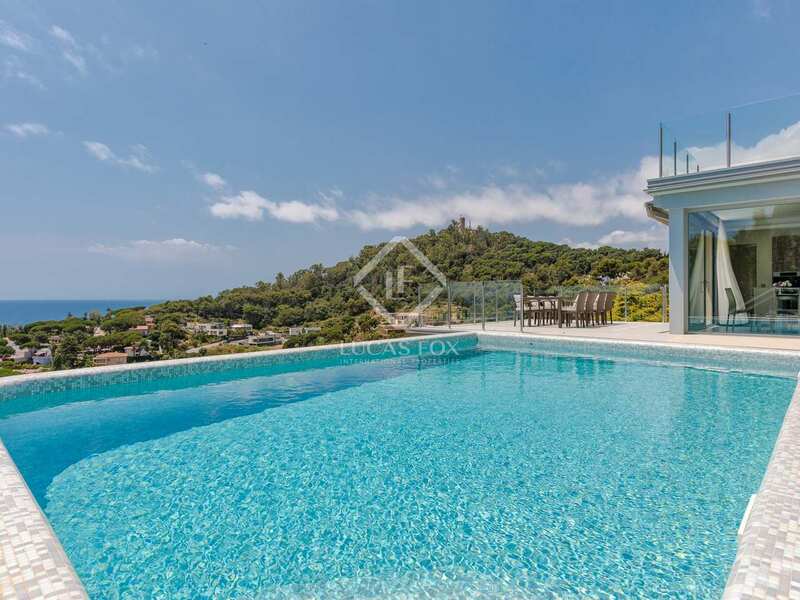 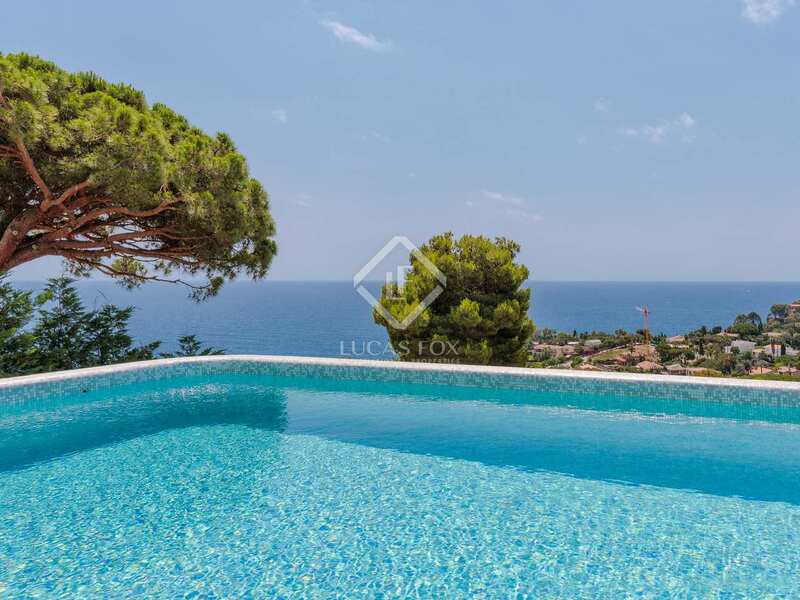 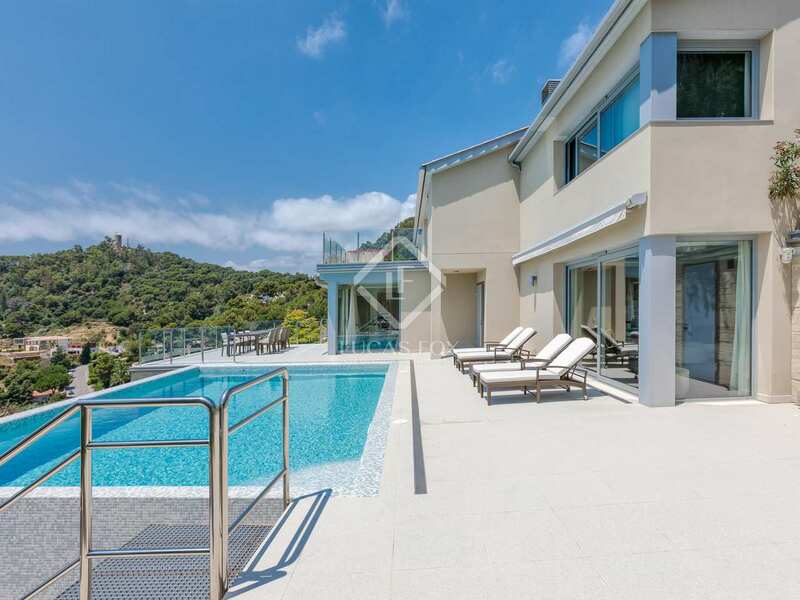 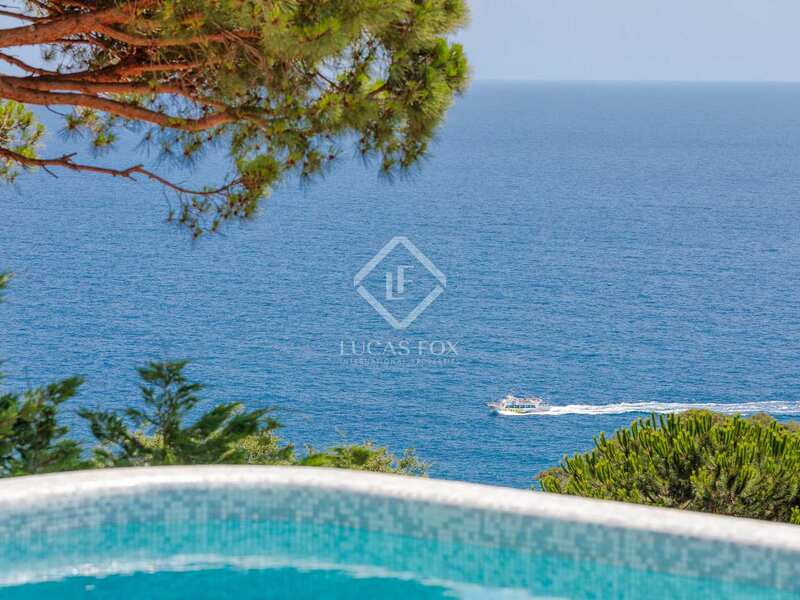 This completely renovated villa offers the height of modern luxury on the Costa Brava. 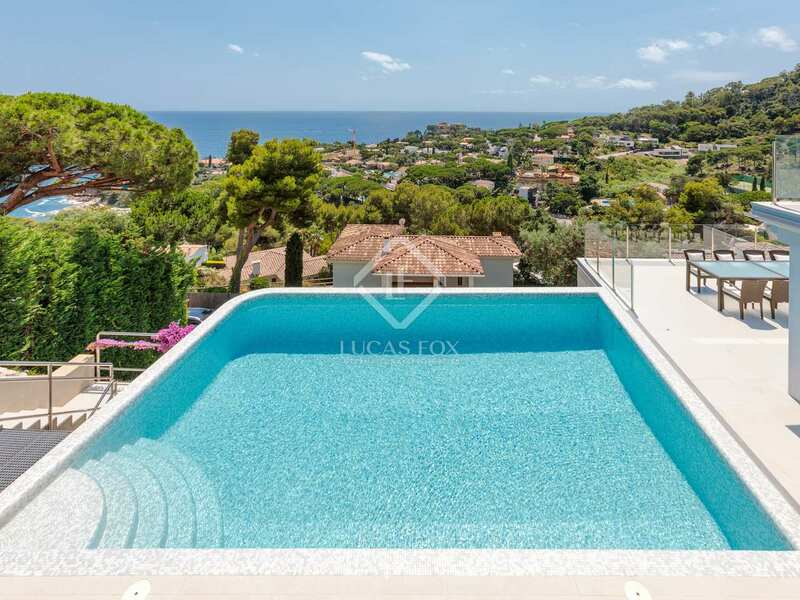 It sits on the side of the quiet green hills leading down to the golden sands of a secluded bay, but has the bustle and amenities of Blanes just around the headland. 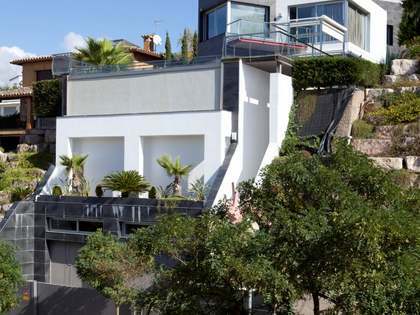 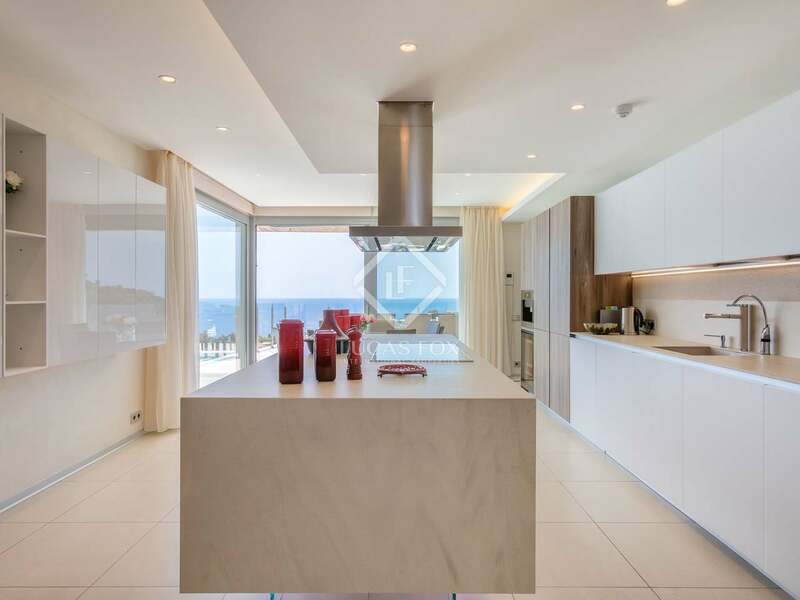 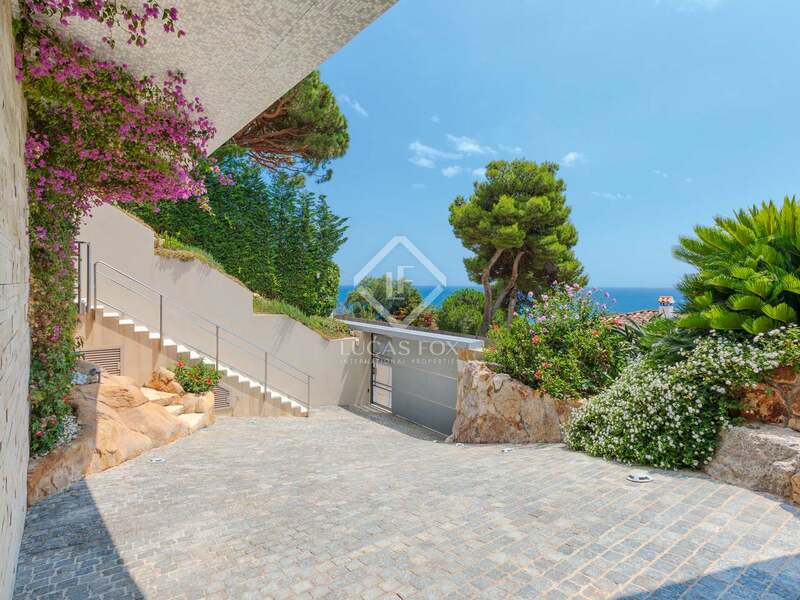 Just one wall remains of the original house, which has been replaced by a landmark property boasting clean, modern lines, bright, spacious living areas and fantastic terraces that make the most of the privileged panoramic views. 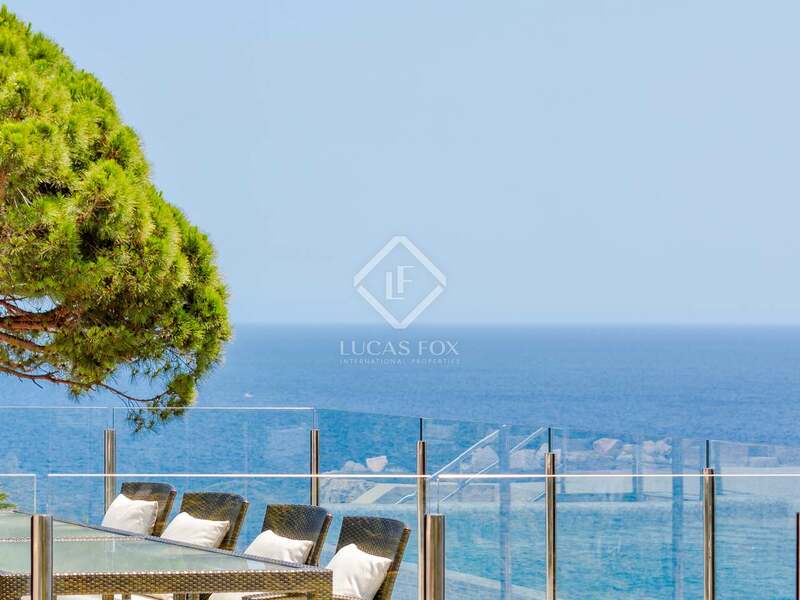 The spectacular main terrace has a showpiece infinity pool as well as plenty of space for al fresco dining and entertaining. 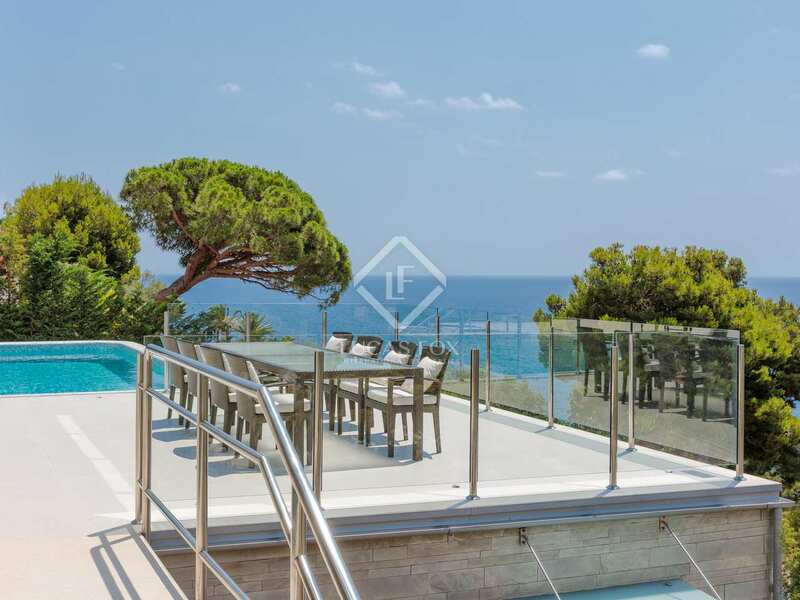 The sleek glass balustrades underline a look that is echoed throughout the house, with huge windows bringing in the views and flooding rooms with natural light. 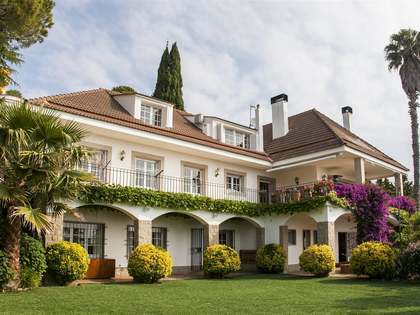 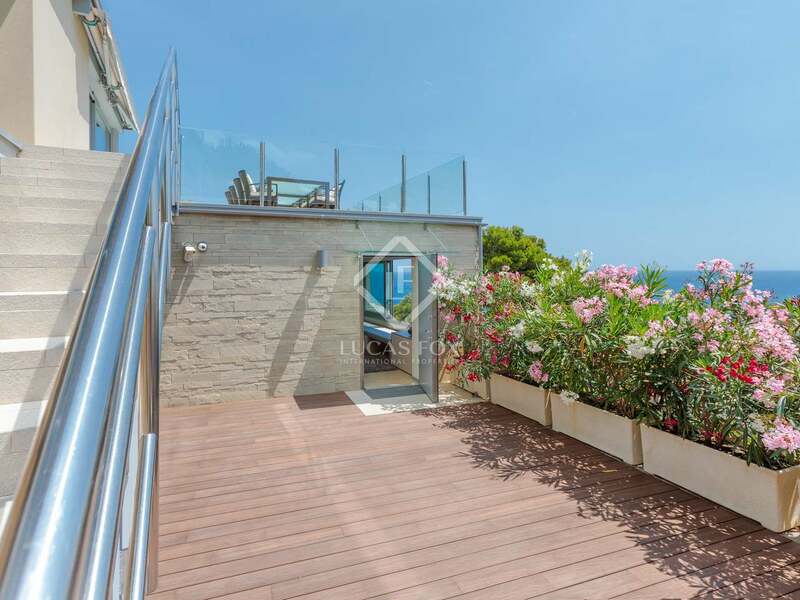 There are large terraces on the lower and upper floors, plus charming garden areas on both levels. 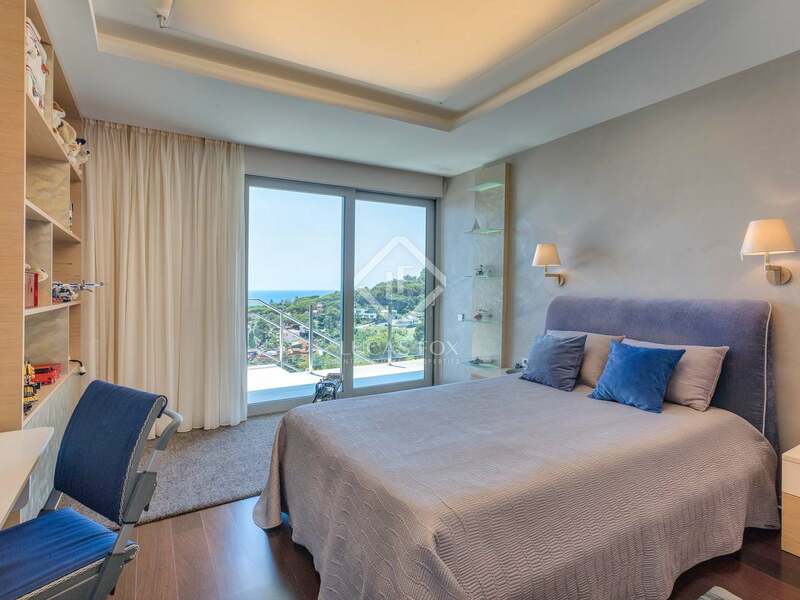 Just about every room has access to outside, including the stunning 70m2 super suite with a huge dressing room and a bathroom complete with freestanding bath with unbeatable sea views. 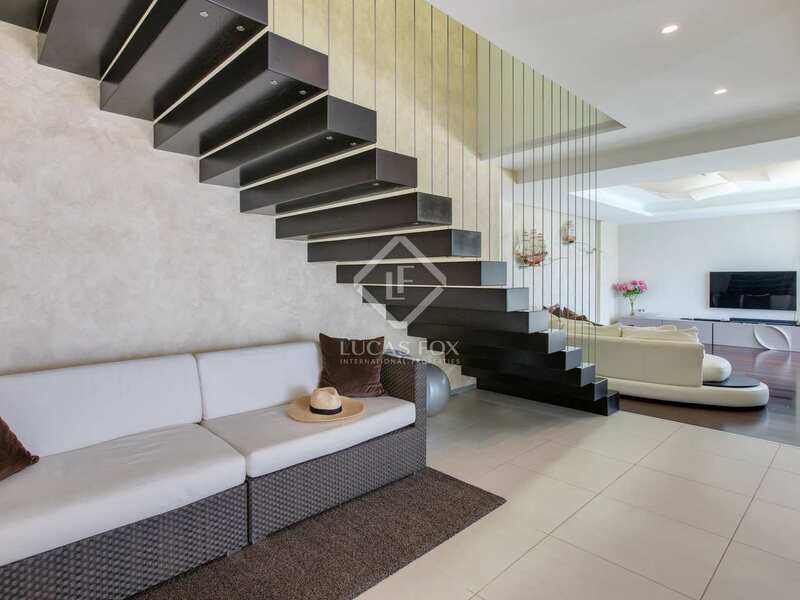 The interiors are simply sumptuous, with details including a fabulous hanging staircase, wood and marble finishes and subtle lighting and glazing that blends perfectly with the natural tones to create the ultimate in modern luxury. 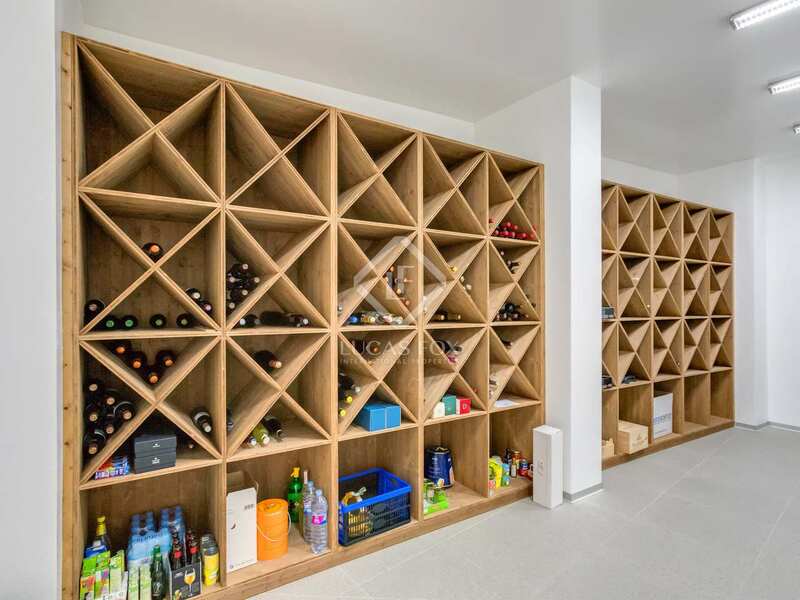 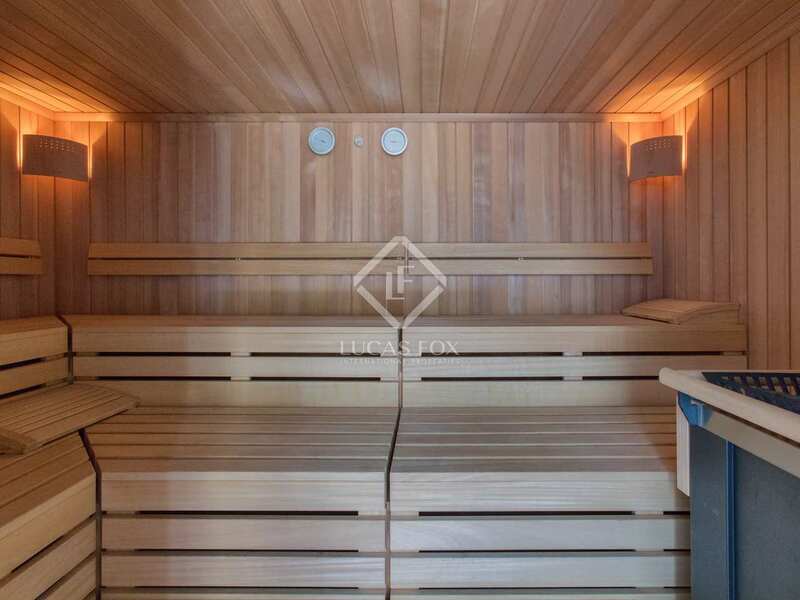 Features include a cabin with sauna and hammam, a home cinema room with soundproofing, a 5,000-bottle wine cellar, underfloor heating and home automation. 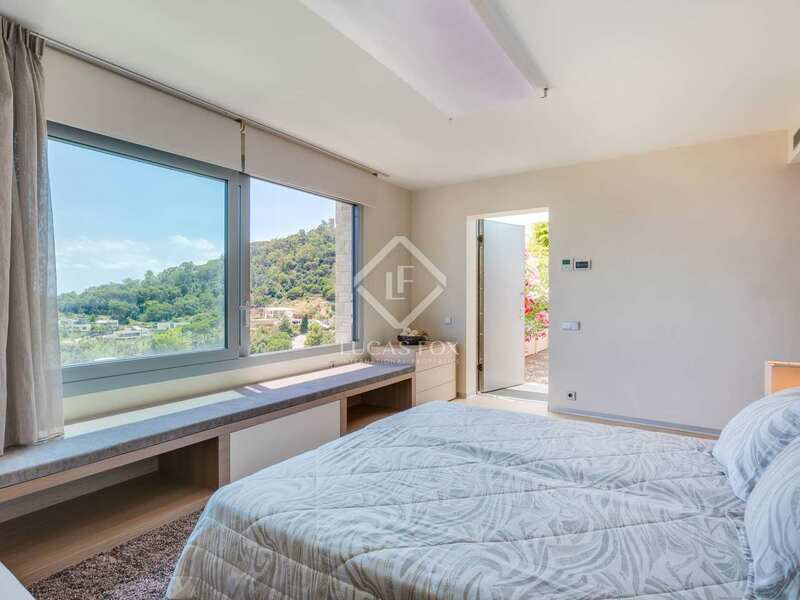 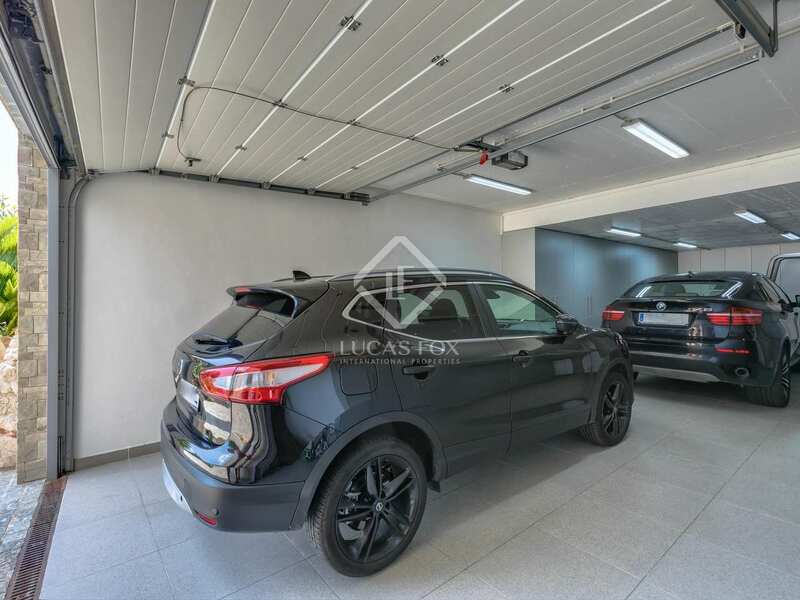 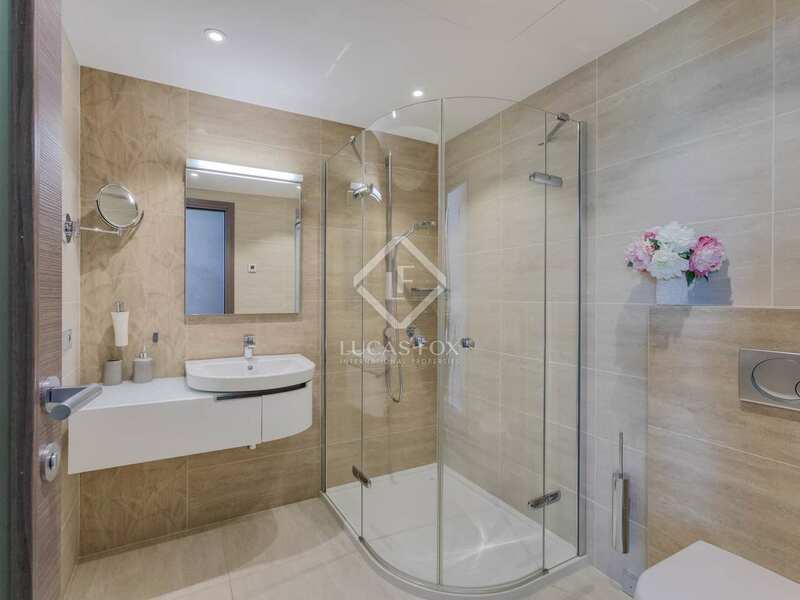 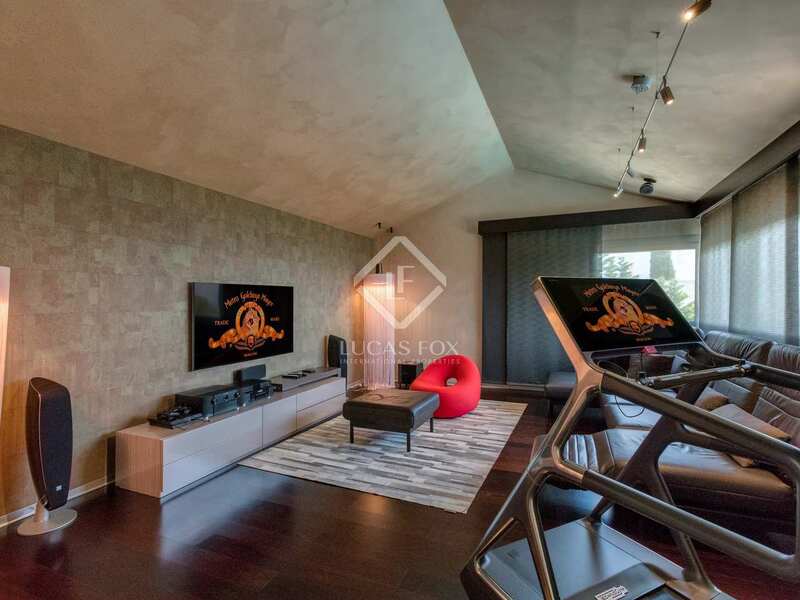 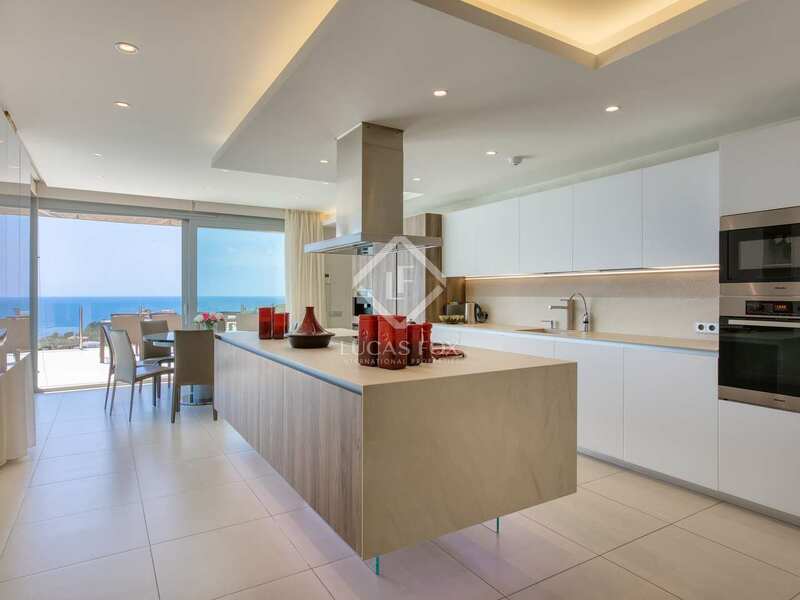 There is also a guest apartment with separate entrance and an elevator that enables simple progress from the large 2-car garage to the kitchen. 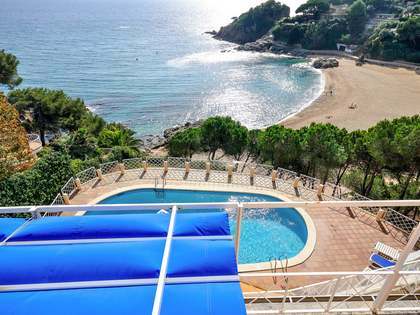 Cala San Francesc is a lovely secluded bay just around the headland from the bustling town of Blanes. 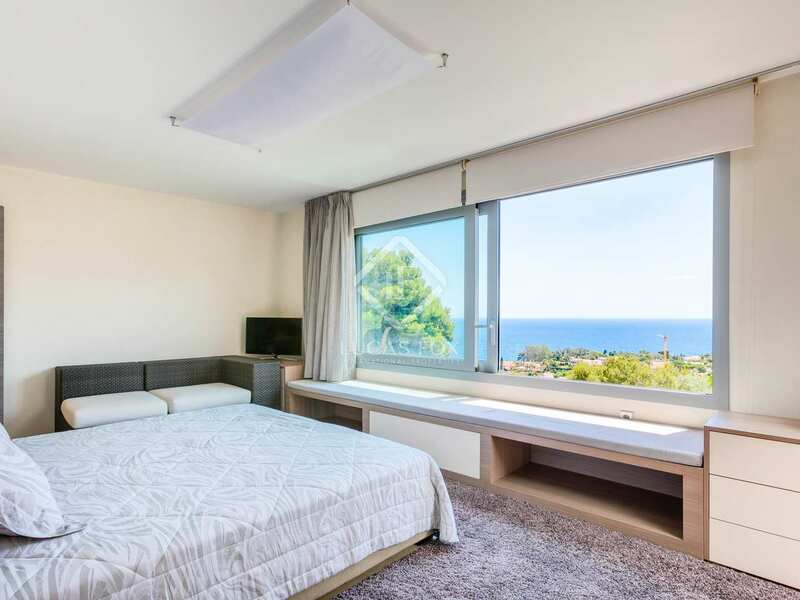 Many see Blanes as the jumping off point for the spectacular Costa Brava, whose world-famous coastline runs all the way north towards the French border. 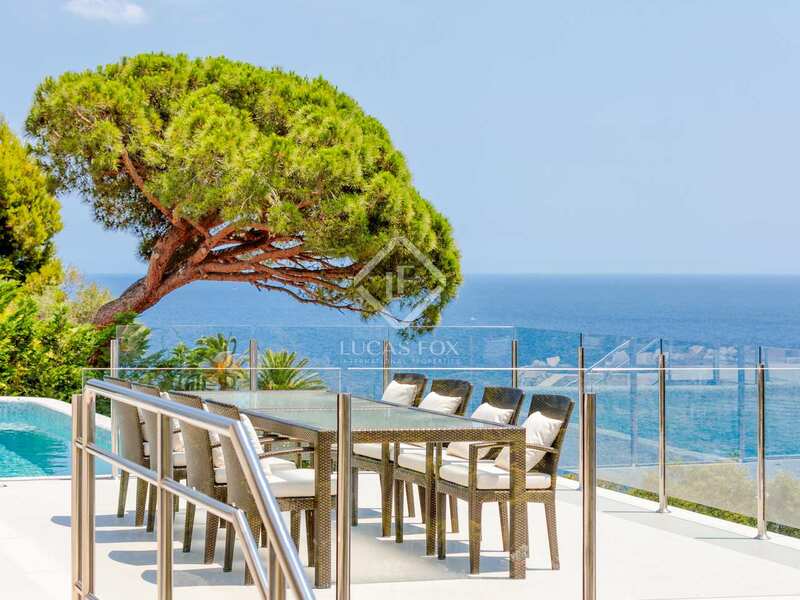 Barcelona is just an hour down the coast, while Girona is 45 minutes to the north. 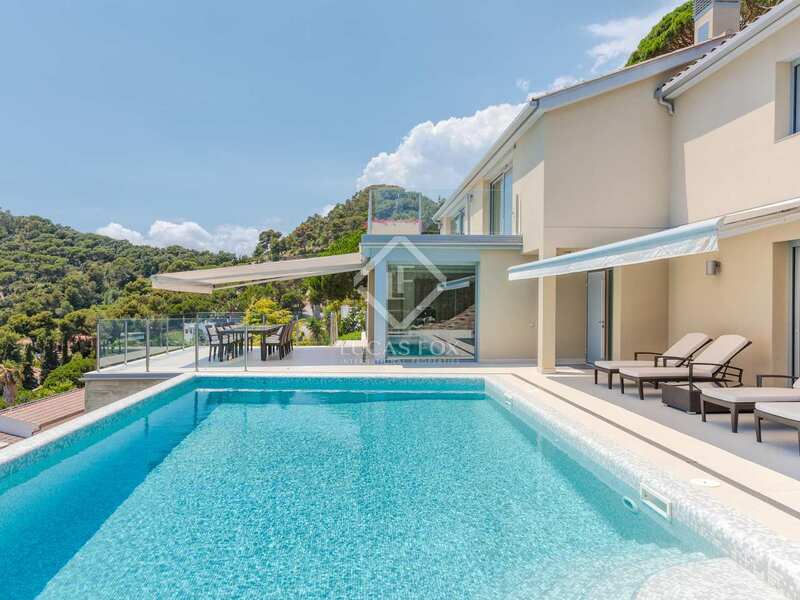 Both offer excellent airport connections to the rest of Europe and beyond.